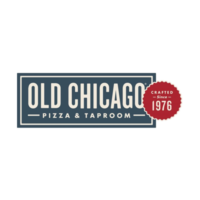 Old Chicago started in 1976 when a few friends opened a pizza restaurant in Boulder, Colorado. Since then, the company has been purchased by CraftWorks Restaurants & Breweries. CraftWorks employees more than 12,000 people in the United States. The business has two headquarters, one in Chattanooga, Tennessee and the other in Broomfield, Colorado. You can find the Old Chicago application link below. With more than 90 locations across the United States, the company reaches many different customers in 22 different states. The restaurant chain is owned by CraftWorks Restaurants & Breweries, which also owns Gordon Biersch, Bluewater Grille, ChopHouse & Brewery and Sing Sing Dueling Pianos. The parent company operates about 60 of the restaurants with the Old Chicago name, and about 36 other locations are operated by franchise partnerships. The company prides itself on serving handmade pizza that tastes delicious and having a large number of beers on tap. The company now sells more than just pizza, but also offers a number of pasta dishes, chicken wings, burgers, sandwiches and salads. With a number of different appetizer and dessert options, as well, you can have a full meal at these restaurants. The parent company, CraftWorks, has a foundation that makes many employees proud to work for the company. The foundation helps combat hunger in the communities it serves and it supports other programs that address hunger. Another fund the company sponsors is the H.O.P.E. Fund that helps employees in their times of crisis. Old Chicago jobs range from corporate level job opportunities to entry-level jobs. Corporate level careers include positions in departments like finance, supply chain, real estate, accounting, human resources and marketing. These positions may require applicants who live near one of the company headquarters, either in Chattanooga, Tennessee, or Broomfield, Colorado. In-restaurant career opportunities may be either managerial or more entry-level. Managerial positions include kitchen manager, assistant kitchen manager, restaurant manager and assistant restaurant manager. These positions generally require some sort of previous leadership experience. Entry-level positions include host, waiter, busser and dishwasher positions. Other positions include line and prep cook jobs. How old do you have to be to work at Old Chicago? You must be at least 16 years old to start working Old Chicago careers. Restaurants are open from 11 a.m. to 11 p.m. from Sunday through Thursday and 11 a.m. to 2 a.m. on Fridays and Saturdays. Because of this, you may be asked to work night and weekend hours, so keep that in mind when you apply. Old Chicago jobs bring a number of different benefits for the employees. One unique benefit is that employees get discounts on meals. All associates also receive competitive wages for each position. Eligible associates will also have access to healthcare and 401(k) retirement plan options. Workers also receive paid time off and life and disability insurance. Busser – Bussers are in charge of getting tables cleaned and helping waiters when the restaurants are really busy. These associates need to be friendly and willing to work as part of a team. Associates should be able to stand for extended periods of time and carry a good amount of wait. Bussers also generally refill beverages for diners. Pay is usually between $4 and $5 an hour plus tips. Waiter – The responsibilities of the waiters include taking customers’ orders and delivering food and beverages to the appropriate tables. Waiters may be asked to help bus tables, as well, if the restaurant is really busy. Waiters need to be patient, and should be able to explain menu items and offer suggestions. Pay is generally the federal minimum wage for tipped employees plus tips. Restaurant Manager – As the restaurant manager, associates should expect to spend a lot of time at the restaurants creating work schedules, interviewing and hiring new employees, implementing company procedures and supervising employees. Other tasks may include dealing with payroll issues and customer complaints. Managers can expect to make a salary of more than $50,000 per year. Host – The restaurant hosts need to be able to effectively communicate with customers both by phone and in person. Hosts will take reservations, help roll silverware and greet customers. These associates need to understand the layout of the restaurant and be able to seat people in appropriate sections and seats. Hosts usually work part-time for about $10 to $13 an hour. Can you tell me a little about yourself? This question helps interviewers get to know each applicant on both a personal and professional level in a short amount of time. You can share whatever information you want, but you will want to be sure that you keep your answer fairly short. How did you hear about this position? Managers always want to know what outlets are getting the most people to apply for Old Chicago careers, so they don’t waste money on other marketing of the positions. Answering honestly will help the company in the long run. Why do you think you will be a good fit for the job? You probably have some traits or industry experience that you think would be helpful with the position you want. Share whatever skills you have or experience that you to with the interviewer. Managerial applicants will go through a more rigorous interview process. People who are seeking these employment opportunities should expect to answer tougher questions, such as “What kind of previous management experience do you have?” and “What is your preferred management or leadership style?” These questions will help interviewers better get to know those who may become managers with the company. If you want to apply for jobs at Old Chicago, you have a couple different options. If you choose to apply in-person, you will want to go to a local restaurant to request a free application, because there is no printable application for Old Chicago. Just as there is no printable application form, there is no place to select download application form. For an easier way to apply, you can apply online. To do so, you can go to the company’s website and browse open Old Chicago jobs online to read a job description for each position. The website will walk you through how to apply for Old Chicago online, and the Old Chicago job application online is quick and easy to fill out. Many people decide to fill out an online application, because it is easier. Regardless of the application form type, you should be sure that you fill out a direct application. You should also include a copy of your resume, which outlines your past work experience, with your Old Chicago application. Once the company reviews all the applications, you may be asked to come in for an interview. If you are asked to come in, you will want to be sure to do a little research on the company and show up ready to answer common interview questions. You will also want to be dressed nicely so you can impress the hiring manager.